The fact is, whether or not you have a specific use for the recordings, just having your calls recorded is a good business practice. That's why all the largest companies in the world do it. But until recently, the usefulness of the recordings, especially for small businesses, was limited -- not just because it's time consuming to listen to them, but more importantly because transcribing them meant paying exorbitant fees to a transcription service and waiting for ages while a real person hand-processed the audio file. Few businesses have the time or money for that, and typically only those who need the transcriptions to run their business actually make the effort. So what happens? A ton of valuable data stored in call recordings gets lost. You have the recordings, but they remain untouched, unused. Now, with powerful yet affordable AI software from Descript, the cost and time required to complete call transcriptions has drastically decreased. At 7¢ per minute, and with near-instant processing and incredible accuracy, IT professionals, sales managers, attorneys, and other professionals can fulfill and monitor critical business tasks. To make it even sweeter, Keypad users get 100 free transcribed minutes when you sign up through this link: https://descript.com/r/rkCeBrX_m. 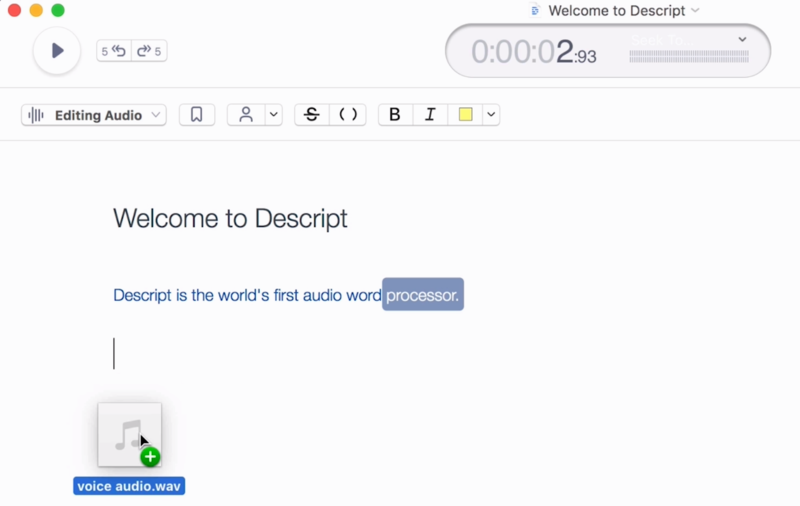 For complete directions on using Descript's services, read our support article on Transcribing Your Recorded Calls & Voicemails. We're here to help you run a better small business. If you have questions about how to best use Keypad and/or Descript to process and monitor key business calls, contact us at support@smith.ai. Our support team is available Monday through Friday, 5am – 6pm PT.